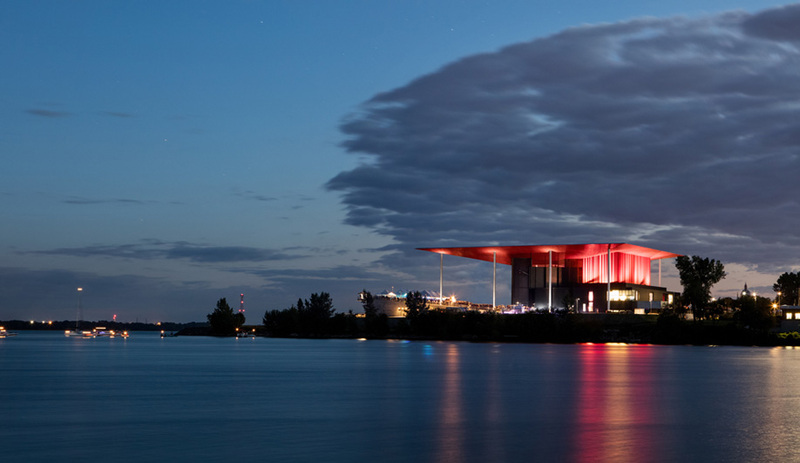 The best view of the Cogeco Amphitheatre in Trois-Rivières, Quebec, is from across the St. Lawrence River. 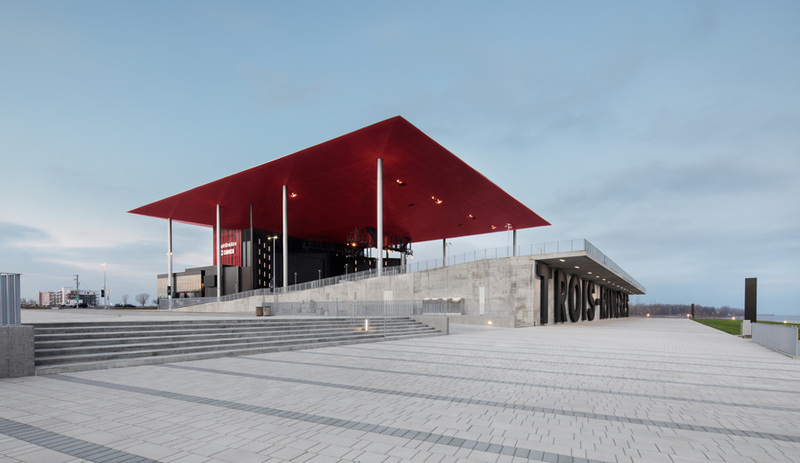 Its immense, 80-by-90-metre, thin-edged roof flies over a concrete-and-glass stage house, anchored by only eight thin columns. 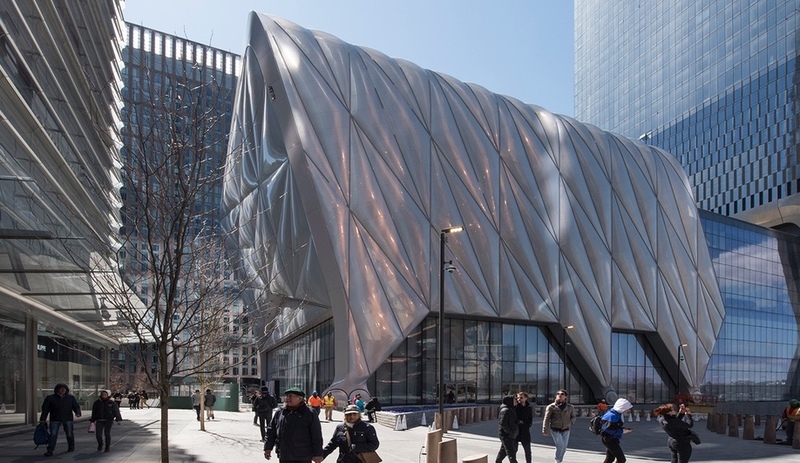 At night it looks as if a glamorous premiere is underway: artificial light theatrically rakes the underside of the roof, and the river glistens like a mirror, doubling the building’s image in the water. 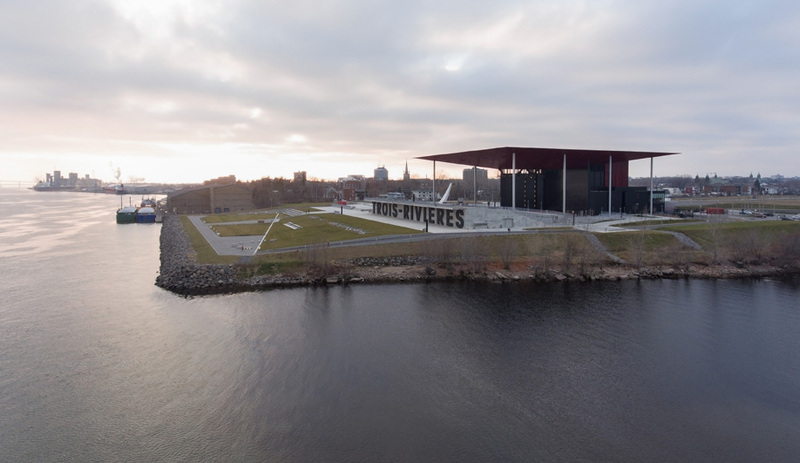 Like many post-industrial cities, Trois-Rivières has put its faith in culture and entertainment to revive its waterfront. The amphitheatre dominates a shoreline that only 20 years ago was studded with the cranes and smokestacks of a pulp and paper mill. 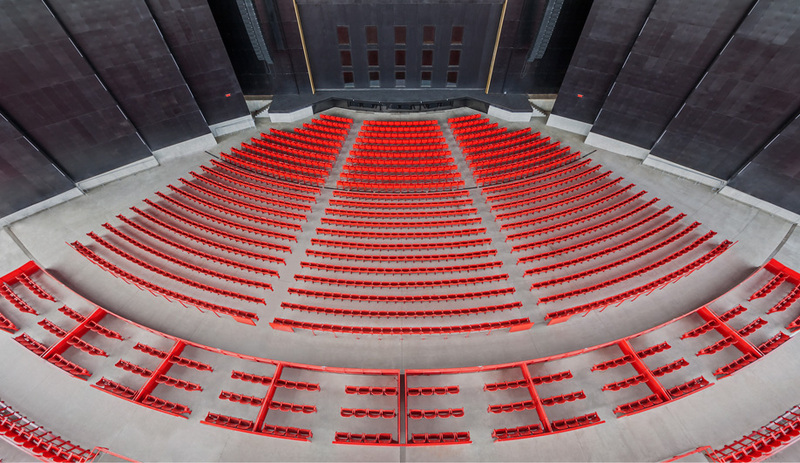 The artistic programming is a crucial part of this plan – this past summer’s lineup featured Cirque du Soleil, Styx, and a bilingual Québecois version of Grease – but the main draw is the iconic building. It serves the Trifluvians, as the locals are known, as both a landmark and a symbol of the city’s transformation. 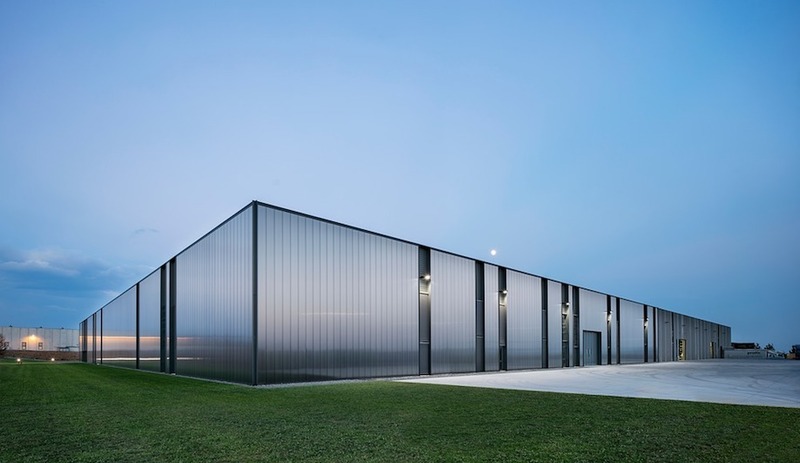 In addition to working with a bevy of structural and acoustic engineers, Laurendeau collaborated with other strong creative firms. 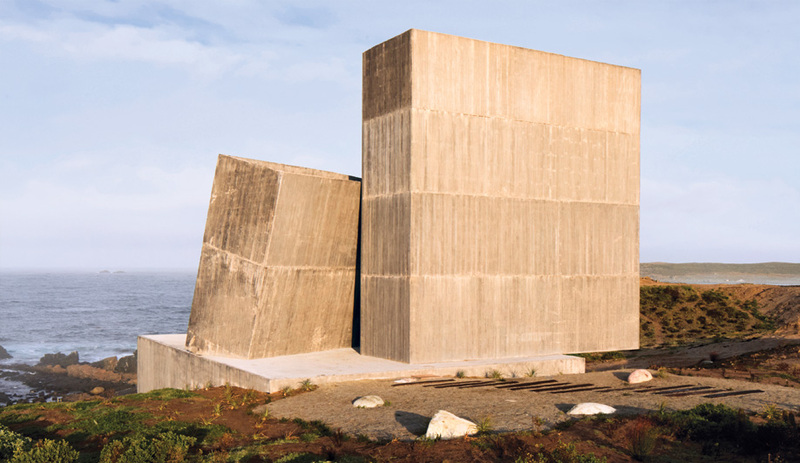 Bureau Principal provided graphics and wayfinding signs that add a sans-serif forthrightness to the palette of black paint and grey concrete. Architect and urbanist Peter Soland of Civiliti designed the esplanade along the water’s edge, in part inspired by Laurendeau’s addition of oversize letters that spell out “Trois-Rivières.” The new park is especially popular with the Trifluvians, who use it for biking and jogging even if they don’t go to shows. 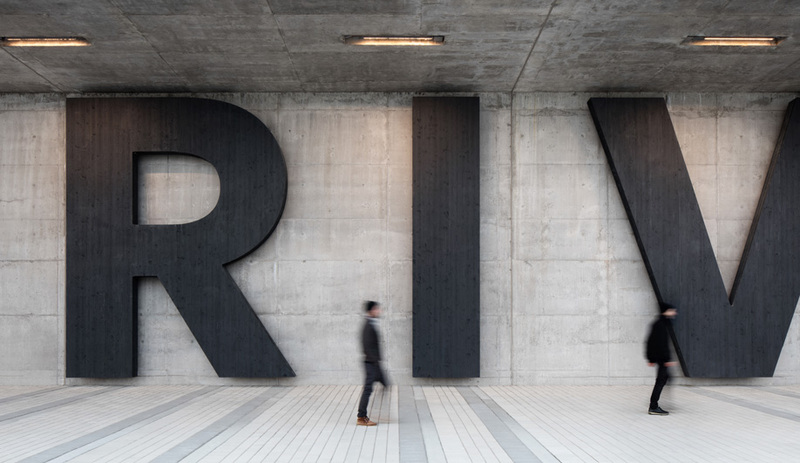 In a nod to the region’s forestry industry, the six-metre-high, 20-centimetre-thick letters are made of spruce, but, ironically, they were fabricated in Austria and shipped by boat to Canada. Laurendeau says that the building, although opened in 2015, is still not quite finished. He convinced the city that some temporary rain screens it installed were too high maintanence, so now he has the commission to design permanent ones. The locals have adopted the grosses lettres as branding in the spirit of the famous Hollywood sign. But outsiders are interested, too. 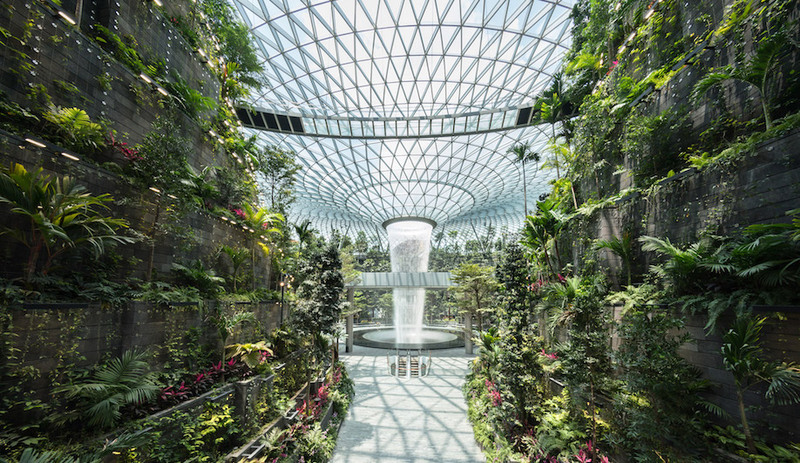 The site is already a popular spot for a tourist selfie shot and as a venue for corporate events. 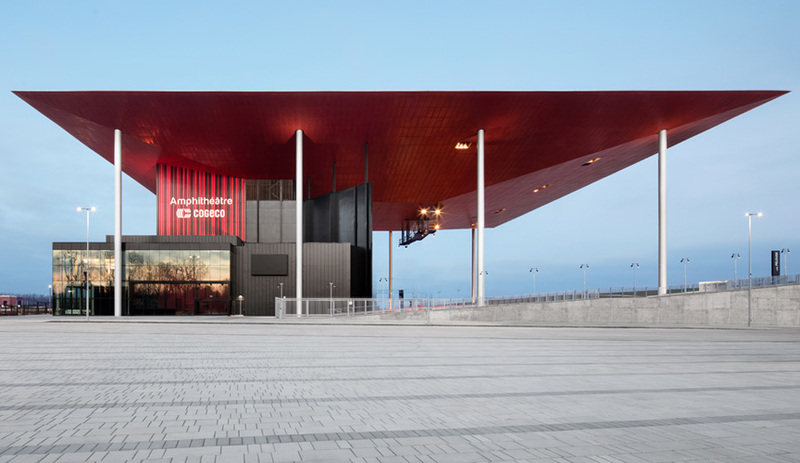 This investment in iconic architecture has successfully put Trois-Rivières in the spotlight.